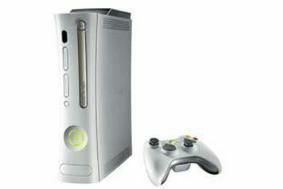 Microsoft expected to launch 60GB Xbox 360 at E3 Expo | What Hi-Fi? The new model will go on sale in North America from early August, and the price of the current 20GB model will be cut to $299 while stocks last. "We know consumers need more and more space to store the amazing digital content Xbox 360 offers, and we're giving it to them at no extra charge," says Albert Penello, Xbox director of product management. The 60GB Xbox 360 is expected to have an HDMI output, wireless pad, wireless headset and one-month subscription to Xbox Live. The other Xbox models, the Arcade and Elite, will continue as before. Microsoft has yet to unveil its plans for a 60GB Xbox in Europe, but more details may become apparent during the course of this week's E3 Expo. We'll keep you posted.